Users can download the app, which is in beta release, from Tidal’s site. The app will detect audio sources like Apple’s AirPlay to let users play music on compatible stereo systems, Tidal said Wednesday. 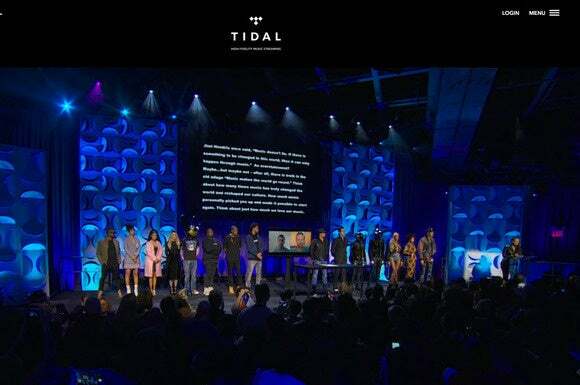 Tidal already has iOS and Android apps, as well as a web app optimized for the Chrome browser. Jay Z has positioned Tidal as a high-quality music-streaming service supported by musicians like Taylor Swift and Kanye West, but its success is far from guaranteed in a crowded market. Apple is expected to launch a revamped streaming service based on its Beats acquisition next week. Spotify recently added video and smarter playlist features to its app, including a function that picks songs based on the user’s running pace. Tidal’s new desktop app is compatible with both Windows and Mac OS. There’s no free version of Tidal. It has two subscription tiers, costing US$9.99 per month and $19.99 per month, which provide access to Tidal’s 30 million songs and 75,000 videos. The more expensive option promises CD-quality audio. Students, however, can now access both versions of the service for half the price. In the coming weeks, students with a .edu email address can sign up on Tidal’s site to receive the discount, the company said. There’s also a new partnership with Ticketmaster that lets users view upcoming tour dates and purchase tickets to shows within Tidal. The integration will include access to exclusive ticket giveaways, pre-sales and discounts. There's also a third-party app, Roon, that adds vast amounts of metadata details, support for Apple's AirPlay multi-room audio software, music-discovery tools, and lots more to both Tidal's offering and to the user's own music library. TechHive executive editor Michael Brown contributed to this story.